Now I am not a huge chocolate or sweets person, I generally go for food that is overly saturated in sodium, delicious salty food. But I mean like everyone else every now and again I crave something sweet, something chocolaty, you know something that isn’t an apple. When this type of craving hits me I try my best to satisfy my sweets craving in a healthy way. No it doesn’t always happen but in my mind it is always worth the effort. The other day I was thinking to myself how bored I am with my regular breakfast of oatmeal and a hard boiled egg. Sure I could have defaulted to my breakfast smoothies, but people it is winter and it is freezing. I don’t always want to start my day off with a cold smoothie, so I got to thinking. What could I make that would be warm or neutral temperature and potentially full of delicious protein. I figured it had been a while since I had played around with my protein powders so I figured it was time to test out making another delicious protein type square, this time with chocolate as it’s focus. So I set myself up in the kitchen and got to baking. After two attempts (the first one was so dry) I came up with this delicious, sweet, healthy peanut butter protein brownie. They would be great coupled with some fruit for breakfast, or as a grab and go snack for your day. 2. Place all dry ingredients in a large bowl and mix (flower and protein powder) set aside. 3. In a small bowl mix yogurt, egg whites, maple syrup and peanut butter until smooth. Once smooth transfer to larger bowl with dry ingredients and stir. Stir until well blended, the consistency should be slightly runny, if it isn’t add a bit more greek yogurt or milk/ a dairy free alternative (although you shouldn’t have to do this). 4. Grease a small square pan no larger than 6×4. 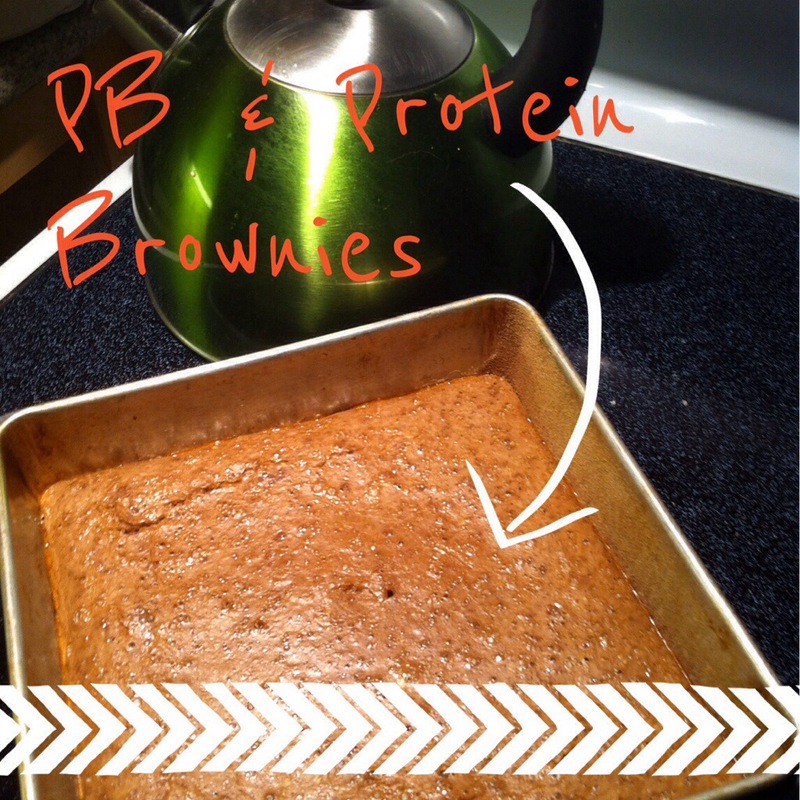 Once greased take a bit of extra protein powder and coat the pan, this will help prevent the brownies from sticking. 5. Pour mixture into greased pan and place in preheated oven. Should take between 15-20minutes to cook. Do not over cook, the oat flour absorbs quite a bit of moisture and overcooking will leave the brownies dry. 6. Once done baking, use a spatula to separate the sides from the pan and allow to cool for at least 10 minutes. Once cool flip pan upside down to remove brownies, cut into equal portions, yields approximate 9 squares. *please note that although these brownies are delicious they are slightly drier than your regular fudge brownie, and much like a fudge brownie should be consumed in moderation. I hope you enjoy these “brownies” and I hope they bring a bit of variety to your snack and morning routines. 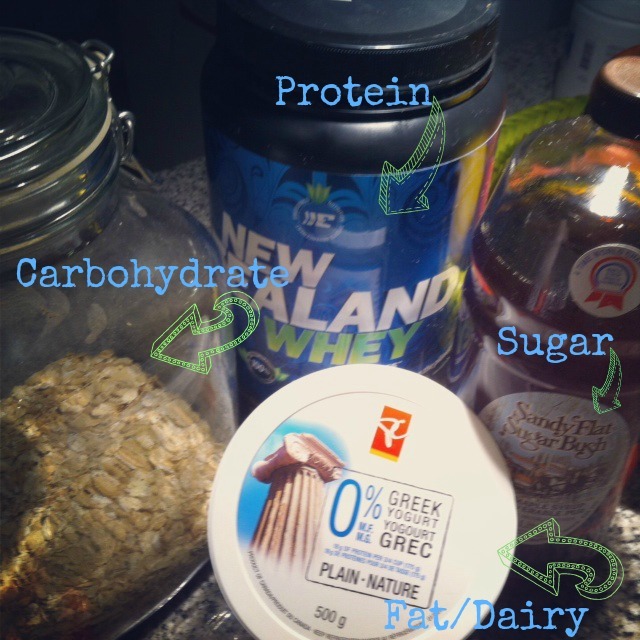 This entry was posted in General and tagged brownies, chocolate, clean eating, eatig clean, food, gluten free, health, healthy, protien by healingginger. Bookmark the permalink.